Several institutional and external scholarship and grant opportunities are available to Lourdes University undergraduate students. 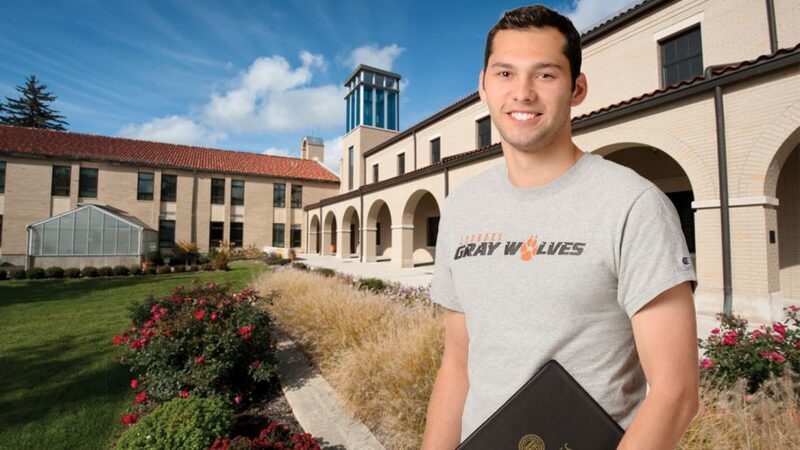 Students who are selected to participate in the Honors Program and who choose to live in Honors Housing on campus will receive a grant of $1,000 per year for a maximum of four years to be applied toward their housing (can be combined with the Wolf Grant). Student must maintain Honors status. The National CCAA will award seven $1000 one-time scholarship awards to graduating high school seniors who will be attending one of The National CCAA member institutions. Lourdes University is a participating member of the National CCAA. These awards were created in an effort to assist students in pursuing a Catholic higher education. The Toledo Community Foundation manages nearly 100 scholarship funds. Through the generosity of many families and individuals, scholarships are awarded on an annual basis from philanthropic funds which have been established with the Toledo Community Foundation. These awards assist local students in their pursuit of higher education. Visit the Toledo Community Foundation to review the many scholarships offered. Looking for additional scholarships from external organizations?